tango dancers from Buenos Aires, Argentina, have been performing/teaching together for more than 10 years. They started their Tango career in 2002 and after years of studying with the most emblematic masters and milongueros, and performing in Buenos Aires and internationally with EV Tango Company, they joined their paths in 2007. Since then, they have worked in several well-known tango houses, international events, milonga exhibitions, and as choreographers and teachers in “El Zanjón de Grandados”, the historical venue in San Telmo, BsAs. They have an extensive career performing in Buenos Aires and other Argentinean cities: In historical theater's, public and private events, and cultural exhibitions. France, England, Ireland, Greece, Belgium, Switzerland, China, Turkey, Italy, Chile, Dubai, Abu Dhabi, Kuwait, Hong Kong, South Korea, Macau, Thailand, India, Malaysia, Philippines, Pakistan, Qatar, Spain, India, Qatar, and Spain. Alberto Podesta, Sexteto Mayor, Raúl Lavie, Rubén Juarez, Adriana Varela, Ultratango, and Tango Bardo. Sunderland, Yira Yira, Gricel (La Cachila and Derecho Viejo), Milonga del trovador, Tango Club, Seguime si podes, La Bruja, and Salon Canning. 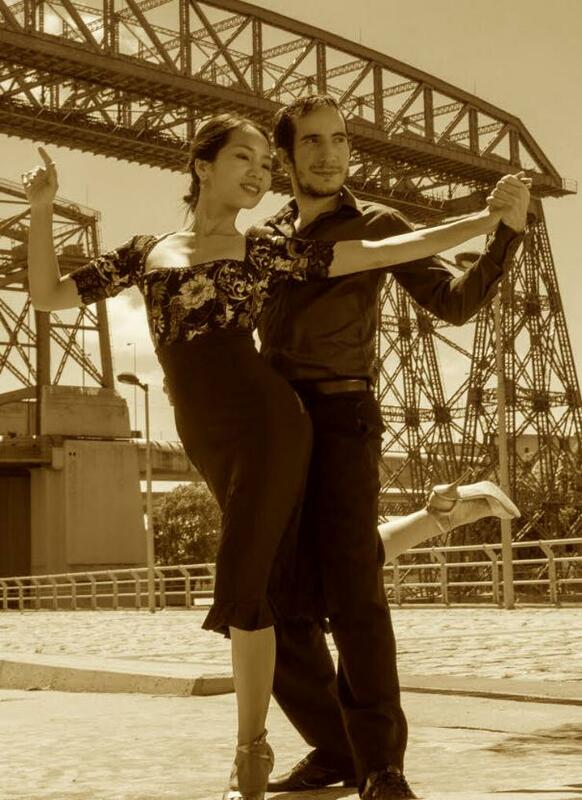 They were winners of the Stage Tango competition in 2011 and Salon Tango in 2014, in the North Zone of Buenos Aires. Fernanda and Alejandro are always keeping the essence of Argentinean Tango - the elegance, the power and the connection of the embrace. Mariano Vázquez has the rare distinction of being an accomplished pianist, “milonguero” and DJ. He completed his Bachelor’s degree in Music at the prestigious National Conservatory of Argentina (IUNA), focusing on jazz , tango and Argentine folk music. He is a faculty member at Universidad Nacional de Artes in Buenos Aires, and has performed in theaters across South America, Europe, New Zealand, India and China. Following the 2013 reléase of his solo piano álbum of Argentine Tango and Folklore, he travelled through Europe presenting it in Madrid , Geneva , Naples , Lyon, London and Stockholm. As a tango dancer of 10 years, he has studied with Pablo Giorgini, Aóniken Quiroga, Filipe Lima Nobre, Gabriel Missé, Alejandra Martignan. He has won several competition awards, including placing as a semifinalist in the 2009 World Tango Competition. Mariano has taught and performed as a dancer and DJ in milongas in Argentina at Salon Canning, La Milonguita, Cachirulo, as well as in various cities in Europe, New Zealand, India and China. Lulu Qin is from China, she started with Tango in Shanghai from 2014. In November 2016, Mariano travelled to Shanghai to teach tango and met Lulu. They moved to Buenos Aires together in March 2017 and they continue studying, practising and performing. Lulu has taken lessons and workshops with almost all argentinian masters. Currently Lulu takes regular lessons with Pablo Giorgini focusing on stage tango.